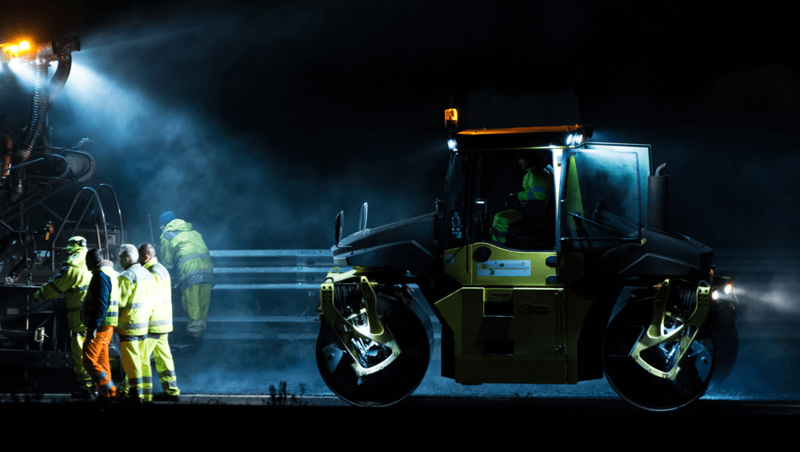 Despite increasing awareness of the toll that night shifts take on our bodies, the UK’s night-force is continuing to rise year on year. According to figures from the Trades Union Congress (TUC) 2017, the amount of night-workers has increased by 260,000 since 2012 with around 3.2 million people currently work nights. That is a massive one in eight people. Although our body rhythms vary (for some more than for others) for the most part, human beings are diurnal. We work best when we are active during the day and resting at night. Our energy levels dip at night, our appetite takes a back seat and most of our healing and growing happens during this time. This means that for most of us, night time is the best time to sleep. Even though we may be able to rest during the day, the quality of that rest will be notably worse – simply because our bodies are busier. There is also no evidence to suggest that over time people’s body rhythms will eventually adjust to shift work. Long-term night shift work has been linked to chronic diseases and illnesses such as cancers, heart disease, gastrointestinal problems and metabolic issues. Conditions such as Irritable Bowel Syndrome (IBS) and ulcers are also more common in night shift workers. Recent research has also uncovered a link between sleep disruption and insulin sensitivity, suggesting increased risks for managing or preventing diabetes. It is a matter of concern that night work also has a negative impact on mental wellbeing. Unsurprisingly it can reduce an individual’s ability to maintain healthy levels of activity and social interaction. This isolation from the ‘norm’ can increase the risk of depression and other mental health illnesses. In addition, night-shift workers tend to drink more coffee and if they eat at all, they snack rather than eating healthy, balanced meals. All of this can understandably impact on productivity and safety. Most people are simply not as alert during the night as they would be during the day, resulting in mistakes, reduced performance and accidents. Consider whether the night shift-work is absolutely essential. Can alternative arrangements be made? Where night-work is unavoidable, employers and employees should collaborate to ensure that the rotas work for all parties. Shift schedules should allow adequate time between shifts for sleeping, eating, spending time with the family and exercise. If rotas need to change, employers should give as much notice as possible. Night shifts should be kept to a minimum and partnered with adequate rest time and days off that are formally scheduled and respected. Organisations need be conscious of the added practical issues and costs associated with shift work. For example, overnight childcare is difficult to find and travel can be problematic – both can be costly. Onsite childcare and car-share schemes are one solution. Alternatively, appropriate remuneration should take these costs into consideration. The body responds well to maintaining the normal daytime routine even when an individual is awake through the night. Encourage employees to eat at the beginning or end of a shift and minimise food intake between midnight and 6am. Eating ‘breakfast’ at the end of a shift will also help aid daytime sleep, preventing waking due to hunger. Employees should aim to eat three regular meals throughout a 24-hour period, rather than grazing or snacking throughout the night. If employees will be on site between shifts, ensure that there is space to eat, relax and socialise away from their usual work station. All the same rules apply to what to eat, as with day workers. Encourage a healthy, balanced diet. Employers can consider providing healthy snacks or access to balanced meals rather than expecting staff to rely on late-night convenience foods. Shift work can wreak havoc with a fitness regime at the best of times, but night-shifts are well known for derailing exercise routines. Providing basic exercise equipment on site – yoga mat, light weights, stability ball, resistance bands. They don’t take up much space, but offer a lot of exercise options. Remind employees that whenever they’re working, they should try and take regular breaks to stand up and walk about. Night shifts are sometimes unavoidable, and they are simply a side-effect of the 24/7 world in which we operate. With careful planning, consideration and two-way communication, employers can mitigate the negative effects. It doesn’t need to cost the earth! Sensible organisation can ensure that night shifts work for everyone, without putting health or productivity at risk.